The aim of this conference is to bring together leading academic scientists, researchers and research scholars to exchange and share their experiences and research results on all aspects of Engineering, Project and Production Management. It also provides a premier interdisciplinary platform for researchers, practitioners and educators to present and discuss the most recent innovations, trends, and concerns as well as practical challenges encountered and solutions adopted in the fields of Engineering, Project and Production Management. Our important goal is to create the opportunity for researchers from various parts of the globe, to gather together as one community, discuss and share their findings and research, and explore the possibilities of future cooperation by forming personal contacts. 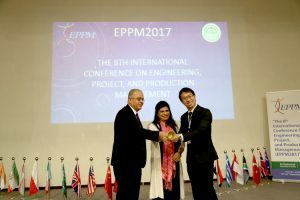 Also, during EPPM2017, we look forward to announcing the inauguration of “EPPM Academy” which will provide a unique opportunity for graduate students attending the academy to improve their research by interacting with a panel of experts in engineering, project, and production management. The Faculty of Engineering at Al-Zaytoonah University is organizing the Third Zaytoonah Engineering Conference series (ZEC2016), which provides a forum for researchers, experts and engineers to present and discuss novel ideas and state-of-the art researches in Environmental Design and Innovation tracks. The conference will host keynote speakers to highlight the essence of Enviro-nmental engineering scene to the audience. The Faculty of Engineering at Al-Zaytoonah University is organizing a conference that provides a forum for researchers, experts and engineers to discuss ideas and state-of-the art researches in related sustainability topics. The conference will host a number of keynote speakers who can provide the participants with a good view of the sustainability scene. All papers will be peer reviewed before being accepted for presentation in the conference and selected papers will be considered for publication in related technical Journals. The workshop is set up to allow about 25 to 30 participants from Germany and about 25 to 30 participants from Jordan to take part in it. Altogether, just slightly above 40 people should be there and report on the potential of utilizing solar energy in the areas of concentrated solar panel (CSP), solar cooling, PV Systems and Energy efficiency in buildings in Jordan and the ways how to utilize it to cut down the dependency on crude oil derived fuels. The workshop will be organized as joint cooperation between the Higher Council for Science and Technology (HCST) and the DFG. Further, the workshop will be held at both the University of Jordan and Al-Zaytoonah University of Jordan, where good facilities for the workshop are available there. Due to the presently active infrastructure works in Jordan, and the consequent academic emphasis on this kind of activity at Al-Zaytoonah University, this conference was emerging as the first of its kind in the country. The conference provided a forum for researchers, experts and engineers to discuss research ideas and state-of-the art papers, exchange knowledge and practices and review advances in related infrastructure topics. The conference hosted a number of keynote speakers who provided the participants with a good view of the infrastructure scene. 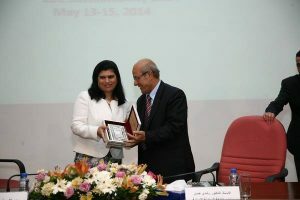 The 7th Jordanian International Electrical and Electronics Engineering Conference, (JIEEEC 2011) is organized by Jordan Engineers Association (JEA) in cooperation with the Institution of Engineering and Technology – The IET – Jordan section and the Institute of Electrical and Electronics Engineers – The IEEE – Jordan section. Were held at the Department of Electrical Engineering, Al-Zaytoonah University of Jordan. 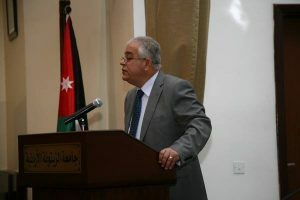 The Third Global Conference on Renewable and Energy Efficiency for DEsert Regions “GCREEDER-III” 2011 was held in April from the 26th to the 28th – 2011 at University of Jordan and Al-Zaytoonah University of Jordan, Amman, Jordan.. This is the 3rd conference on renewable for desert regions, after two successful ones, the first of which was convened in 2006 and the second in 2009. 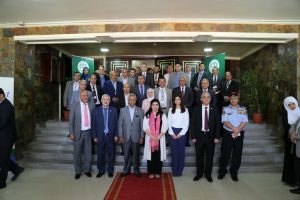 The conference was sponsored by the University of Jordan, in cooperation with public and private sectors,Ministry of Higher Education, National Energy Research Center, and Al-Zaytoonah University in Additions to other universities, one of them is AL-Zaytoonah University of Jordan.